Some of you might still not know that Huawei recently overtook Apple to go second as the largest phone manufacturers in the world just behind Samsung. 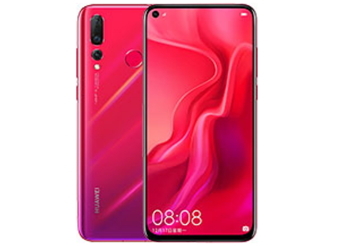 And this great upward movement can easily be attributed to the series of high-end Huawei devices thrown into the markets towards the tail end of last year and they are looking to consolidate such move in early 2019 and probably remain there throughout this year. One of the Huawei high end devices that we will like to discuss in today’s post is the elegant Huawei Honor 4 device that can compete favourably with many latest devices from other manufacturers. The Huawei Honor 4 is not just an ordinary device, but one of the few devices out there in the whole world that can boast of 8GB RAM, 48MP triple rear cameras and powerful 25MP selfie shooter. We describe the Huawei Honor 4 as a beauty to behold with one of the sleekest design coming out from Huawei. This 6.4 inches display device packs very fast Huawei’s owned octa core Hisilicon kirin 970 SoC with a Mali G72 MP12 GPU. As we mentioned, it features triple cameras on its rear, which include a 48MP, 16MP and a 2MP, while the front holds a 25MP selfie shooter. It came with 128GB internal storage that is supported with 8GB RAM and also features an external expandable memory slot to the tune of 512GB. Huawei Honor 4 runs out of the box latest Android 9.0 OS with a rear mounted fingerprint scanner, and it supports the USB Type-C reversible charging connector. In the enclosed battery compartment at back sits a non-removable 3750mAh battery with quick charge at 9V/2A 18W. • Others: HTML5 browser, fingerprint scanner, Face unblock, Accelerometer and proximity sensors, document viewer, image viewer and editor, G-sensor, FM radio etc.